Munich headquartered Osram Opto Semiconductors GmbH is launching two new infrared LEDs (IRED), keyless biometric identification devices for automotive use this spring: the Synios SFH 4772S A01 and the Synios SFH 4775S A01. The first device is suitable for use in iris scanning systems. A camera captures the image of the iris pattern and the downstream system matches the information with the stored data. It emits infrared light with a wavelength of 810 nm and achieves an optical power of 1070 mW at 1 A. The second product is more suitable for facial recognition or driver monitoring. The IRED has an optical power of 1650 mW at 1 A, but is also designed for high pulse loads up to 5 A. Meanwhile, Michigan, US based Gentex Corporation the maker of mirrors and rear vision systems is working with Delta ID and its ActiveIris technology to embed a biometric authentication system inside its rear-view mirror. Once the driver commences the start procedure (using a phone or keyfob wireless remote), he/she looks in the direction of the mirror to be authenticated. If authentication is successful, the car starts and the personalised driver settings, such as: seat, steering wheel and mirror positions, is loaded. Gentex claims that the odds of letting the wrong person have access to the car are on the order of “one in 10 million”. This is superior to facial, voice, or even fingerprints recognition. The company’ plans to eventually link its biometric authentication with HomeLink, the multi-button garage door opener, which it now owns. The system could also expand to cover home-automation, HVAC, and home lighting. Several auto makers, notably BMW and Tesla, are also working on linking smartphones to the car, through a retinal scan. BMW’s ‘Smart Remote’ will take over from the physical key by transferring ‘okay-to-unlock’, ‘okay-to-start’ signals to the car. The company currently has a wireless key with an LCD that is halfway between a typical key fob remote and a phone, with a replacement price of several hundred dollars. Tesla pioneered the concept of the connected car with its Model S sedan. And the Tesla Model 3 mid-range rear-wheel drive vehicle has an app that uses Bluetooth LE. The smartphone acts as the key, allowing access to all driver controls in the central 15-inch touchscreen. Its anti-spoofing capabilities will be rigorously tested by hackers at the March 20-22 ‘CanSecWest’ event. A Model 3 will be offered as a prize for a successful hack attempt against one or more of the vehicles’ six target systems: the modem/tuner; Wi-Fi/Bluetooth; infotainment; gateway/autopilot, or VCSEC; autopilot denial of service; or key fobs/phone-as-keys. Iris recognition, though, is just one of the top five biometric possibilities, which also include face, fingerprint, palm and voice. Danny Thakkar the co-founder of Bayometric the biometric solution provider has assessed the five systems’ pros and cons. Facial recognition is one of the most flexible biometric identification methods. Although its accuracy can be affected by poor lighting and low resolution, in tests conducted by the US based National Institute of Standards Technology (NIST) it achieved a false reject rate (FRR) of 1.1%. It is now gaining increasing acceptance. Fingerprint recognition is deployed in mobile phones and laptops, buildings and car doors. They have a very high rate of accuracy with tests conducted by the US International Biometric Group showing a false acceptance rate (FAR) ranging from 0% to 5% and a FRR from 0% to 66%, which is considered sufficient for most authentication scenarios. Iris recognition utilizes the same technology as cameras coupled with infrared illumination. Although it is the most accurate biometric system, there are some usability concerns. It requires substantial investment and it is quite difficult to perform from a distance larger than a few metres. Iris scanners are also relatively expensive, compared to other modalities. Palm vein recognition is one of the most secure biometrics. It works by capturing and storing the vein pattern image of an individual. “It is extremely difficult to fool this technology by assuming false identity through forgery and therefore palm vein is highly secure,” says Thakkar. 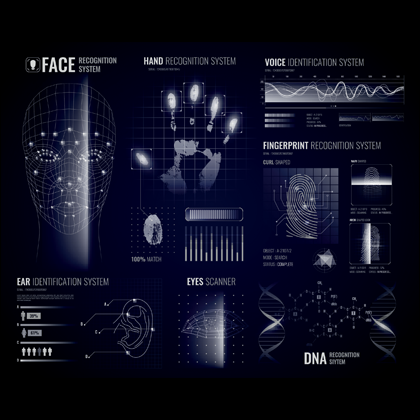 Voice recognition systems perform the task of validating an individual’s claimed identity by using certain characteristics extracted from his or her voice. Such systems are able to accurately identify individuals from their voices with less than one percent error rate. Biometrics will continue to make inroads. However, system security is paramount. There will undoubtedly be many interested observers at CanSecWest keen to see whether Tesla’s much vaunted systems can after all be breached.